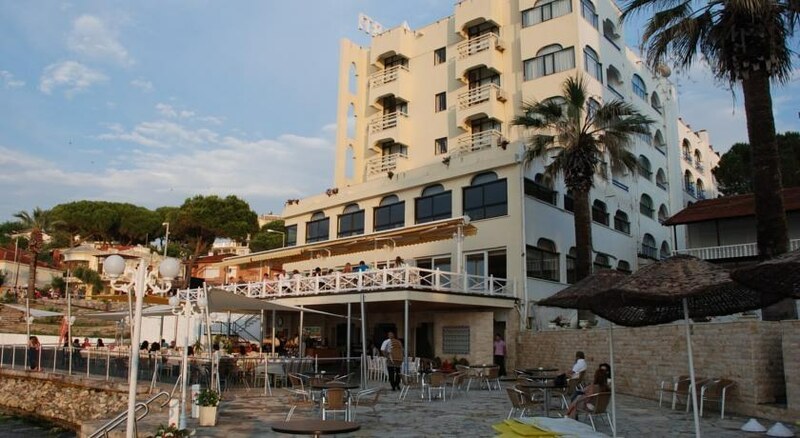 Marti Beach Hotel is located right on the beautiful Ladies Beach, facing the turquoise waters of Aegean Sea. 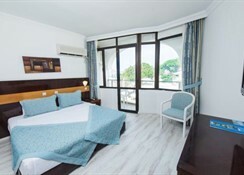 The hotel offers a private lounge area at the sun terrace, fitness centre and air-conditioned rooms. 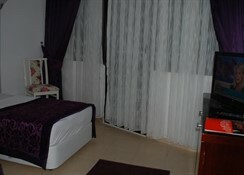 The rooms are tastefully decorated with modern furniture. 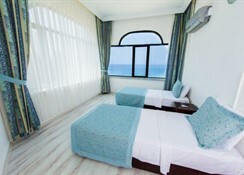 They all feature a balcony and some offer stunning views of the sea. The restaurant has indoors or outdoors dining options. Guests can enjoy unique tastes of Turkish cuisine while admiring the surrounding views. The snack bar provides refreshing drinks during the day. Ephesus is 17 km and the Virgin Maryâ€˜s House 27 km from Hotel Marti Beach. 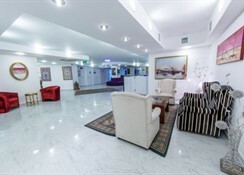 Izmir Adnan Menderes Airport is 75 km away.The Marti Beach Hotel is a Tourist hotel. 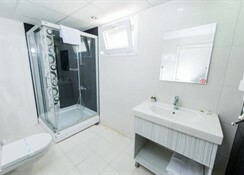 Located in Kusadasi area. 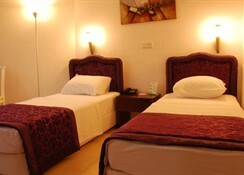 Shopping is within walking distance and the nightlife/restaurants are located in the hotel. Note: The Turkish bath, sauna and Spa section will be closed during Winter period at MARTI BEACH HOTEL.